The founder of AustralianBeers.com explains why he took a break from the drink and how it changed his life for the better in an extract from his new book. 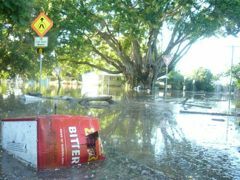 The Brisbane Floods of 2011 resulted in a lot of heartache for a lot of people. One resident shares his story. 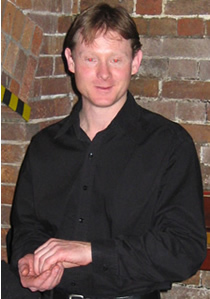 Phil Sexton is the pioneer behind Matilda Bay Brewery and a co-founder of Little Creatures Brewery. 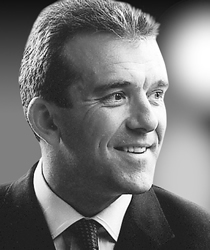 We ask Phil about the dark days of the 80s as well as the state of the industry now. 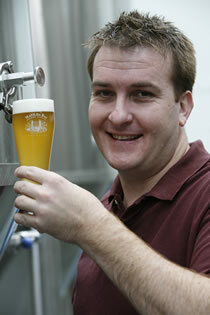 Pete Brown's favourite beer style is India Pale Ale. Not content to drink it, Pete decided to spend months recreating IPA's historic journey from Burton On Trent to the wilds of India. We find out what the hell he was thinking. 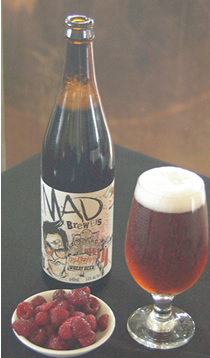 The Mad Brewers are back with this delicate little number. Lock up your beer fridges as every family member will enjoy this unusual beer from the Malt Shovel Brewery. Foster's Group is responsible for Australia's leading beer brands including VB, Crown, Carlton, Cascade and that international superstar, Foster's. 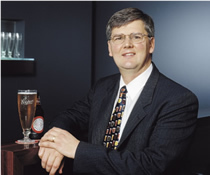 We caught up with CEO Trevor O'Hoy to ask him about all things beer. Mountain Goat Beer is a little Aussie battler producing some top Aussie ales that make Melbourne proud. We asked brewer and co-founder Dave Bonighton about his journey so far. We catch up for a drink with Rob Murray, Chief Executive Officer of Lion Nathan. 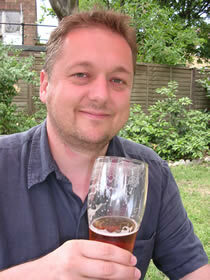 Rob gives us his expert views on many issues dear to an Australian beer drinker's heart. 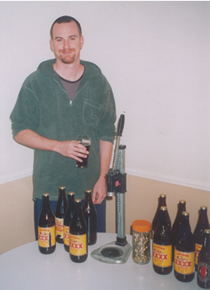 Dr Tim Cooper is a 5th generation brewer of some of Australia's most interesting and rewarding beers. In this interview we talk to Tim about the beers he, his father, his grandfather, his great grandfather and his great great grandfather brewed. 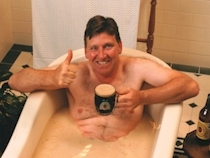 Tony Jones used to be Chief Brewer of Southwark Brewery in Adelaide. We spoke to him then to see how he spent his time. Got a mate who slags off Aussie ales? Well sit him down and pour him one of the most interesting beers to ever hit the Australian beer market. And all home grown. 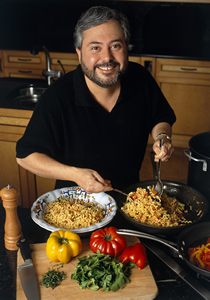 Giuliano Hazan is the son of legendary Italian cooking instructor and author Marcella Hazan. We speak to Giuliano about his new cookbook and his 85 year old mother. David Thompson is the Australian chef who became so good the Thai government asked him to give them a few tips on cooking Thai food. 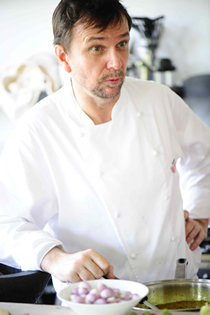 We speak to him about Street Food, Fish Sauce and Lemongrass. 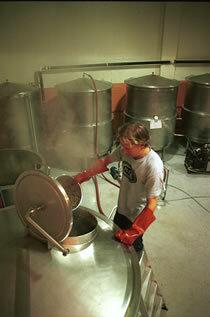 Brad is the Chief Brewer of Matilda Bay Brewery - Australia's oldest microbrewery. We ask Brad how he is looking after our old favourites, as well as what new beers he has in store for those looking for something different. 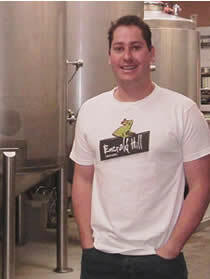 Carl is a young bloke who has managed to launch his own brewery and brew two new Aussie beers against all the odds. 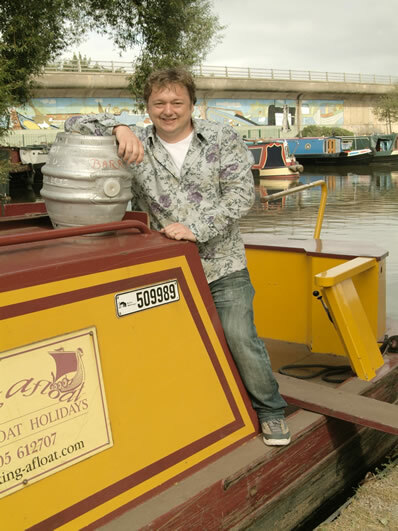 We speak to him about his Pale Ale and Wheat Beer and how we can get our hands on them. Redoak's Grand Champion Special Reserve is a beer spoken of in whispers by beer lovers nationally. We ask its brewer how we can get hold of some, as well as the other 39 award winning beers he finds time to brew in any given year. 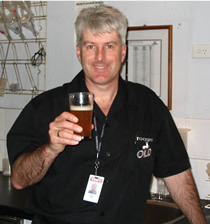 AustralianBeers.com talks to Peter David - the Head Brewer of Tooheys, a company responsible for many popular Aussie beers including Tooheys New, Tooheys Old and Hahn Premium! Three Sheets to the Wind is a new book examining the global culture of beer. We spoke with Pete Brown, the man who put his body on the line in over 400 pubs in 13 countries to make it happen. The Australian government likes to tax beer drinkers till they bleed. Home brewing is one way to pay a fair price for your beer. Brisbane's Dr Robert Colvin tells us that it's not as hard as it sounds. 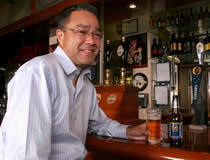 Chuck Hahn has worked for over 20 years to bring flavoursome beers to Australia. AustralianBeers.com talks to Chuck about his past and what he is up to at the Malt-Shovel brewery. There is more to lager than icy cold pilsner clones. Join us as we look into a lager style that came into fashion in 1841.